Five boys raise wooden swords over their heads, then sweep the swords down in front of their bodies. "Look forward, gentlemen! Extend your energy out your body!" calls Ron Rubio, teacher of physical education and the Japanese martial art of aikido. "Use your breathing! Jake, more energy in your body! Elijah, you're looking good this morning!" These seventh- and eighth-graders are students at the ASPIE School (School for Autistic Strength, Purpose and Independence in Education), a division of the Indie Program at Onteora High School. 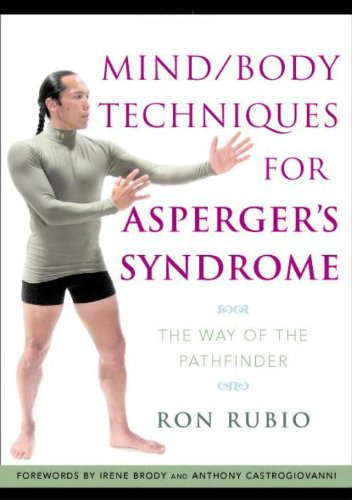 Rubio was hired to teach aikido and mind-body coordination to the fifteen boys in the ASPIE program, but he considers his influence as mentor and role model to be equally important. Created by education consultant Judy Upjohn, Indie is designed for students whose learning styles and needs are not met by conventional classroom teaching. ASPIE was organized last year by Valerie Paradiz, the author of Elijah's Cup, a book about her relationship with her son, a high-functioning autistic child, now entering adolescence. Like others in the program, Elijah has Asperger's Syndrome, characterized by a high level of intelligence but low muscle tone, poor physical coordination, a vulnerability to sensory overload, difficulty with social interaction, and a tendency to obsess on a single topic. "One of their challenges is body awareness," explains Rubio while the students are at the water fountain. "They have a poor image of themselves because they tend to be left out of games and picked last for teams. To show them what they can do with their bodies is very empowering." He returns to the center of the Onteora High School gym and begins to swing a wooden staff in circles around his waist, back and forth. The students are to run, one at a time, past the swinging stick and touch his shoulder. "Stay focused, Jake. Stay focused, stay focused," says Rubio, soothing but firm. "Relax." Jake, a tall thirteen-year-old, takes a deep breath and spurts forward. "Way to go, Jake!" After each boy has had a turn, Rubio steps up the speed of his swing. "When it goes faster," he tells them, "release fear and think about timing." Rubio was hired last November, along with Howard Moody of Adventure Game Theater, to provide physical education tailored to the specific needs of autistic students. "They also need a male role model," says Rubio. "Most of the teachers are female, but three out of four kids with Asperger's is male." Paradiz says there are theories but no certainty about the reason for this ratio. "Perhaps girls tend to go undiagnosed for cultural reasons; girls are raised to be more socially related." In addition, says Rubio, "Family dynamics may not be supportive in mentoring boys to young men. These kids don't act their age, so they have trouble making friends. We talk about rites of passage. I tell them that after age thirteen in some countries, they would be considered adults and given responsibilities, like guarding the herd. We don't have such rites of passage, so I'm working on that type of empowerment. I call them 'gentlemen', not boys." Rubio's gentlemen meet their challenges like warriors. The wooden sword, used in aikido, offers exercise, a point of focus, and a motivational tool. "They don't always get the point of, 'Okay, down on the floor and do fifty push-ups,'" explains Paradiz. "They learn respect for the sword. A lot of them are into Gameboys, and it's good for them to actually use a weapon, to translate virtual experience into something real and be in their bodies." "Sword work ignites the 'balanced warrior' archetype," Rubio adds. "It gives them a sense of presence. We talk about the knight and the samurai, how they were there to protect and had ideals of fairness and courage." Another aspect of aikido he brings into the class is the sampai–kohai dynamic, the relationship of senior to junior students. "It builds leadership skills, responsibility, and trust within the group. The kohais look up to the sampais for hints and suggestions on how to respond to a situation. And I'm able to direct their attention when I talk to them in this language. If I say, 'Sampai Jake! ', he'll snap to and respond." At an end-of-year assembly in June, reports Paradiz, "Each boy did an aikido sequence he chose and practiced. Everyone in the audience was weeping." Rubio also addresses more basic problems such as how to run. "If a kid wants to learn how to run, we start with breathing, visualization, affirmation, balancing, and strengthening." In the gym, he has the boys again line up opposite him, this time without the swinging staff. "Okay, Elijah, run as fast as you can. Pretend you're a ball of lightning!" Elijah sprints across the room. Will, preparing for his turn, steps one foot back and puts his hands on the floor. "Look at this, Will's set like a racer!" 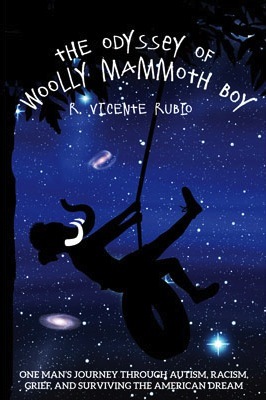 Rubio crows, and the next boy imitates Will. After running, they practice a standing broad jump, and he asks, "What do you have to do to coordinate?" "Move your arms," suggests Jake. "That's right, your arms and legs go in coordination. Swing your arms behind before you leap and then in front when you land." The ninth- and tenth-graders, says Rubio, are more focused and do more sword work. He also teaches them about personal hygiene, career choices, how to prepare for the future. "I've seen a lot of positive personality and behavioral changes in the older kids," he says. "They are now closer to their neurotypical age group." Paradiz says, "Ron's work translates into the classroom wonderfully. The kids are learning to sit properly, using the image of sitting on thrones. He helps them with their difficulty in locating their bodies in space, the difference between lifting your knee and your foot. He teaches them breathing techniques to calm themselves. A teacher can use breathing in working one on one with a kid to circumvent social or sensory overload. They utilize his language and techniques in the classroom. He also teaches them meditative self-monitoring skills: 'How do I know when I'm overwhelmed?'" Rubio attributes his rapport with the students to his own "tumultuous childhood, which included divorce, child beatings, drug use, running away from home at an early age, failed relationships. I can put myself in their shoes. They can sense my empathy." He has been working with kids for twenty-five years, moving from a professional dance career to working with inner-city teens in the San Francisco, Boston, and New York City school systems. When he moved to the Woodstock area in 1990, he was working one-on-one with adults and adolescents. "Asperger's hadn't been diagnosed yet, but I was working with kids on that spectrum. A lot of parents came to me and asked me to help their kids." He has just finished a book, tentatively titled, The Way of the Pathfinder, a working manual on mentoring and guiding adolescents with Attention Deficit Disorder and Asperger's. He and his wife, Dr. Irene Brody, a psychologist at ASPIE, recently gave a seminar for providers of services to adults with autism. "Ron's way of working helps kids confront their autism," Paradiz concludes. "The more they know what their own challenges are, and the more they can explore those challenges in a safe place, the more likely they are to be successful and happy."